Long time ago, love was something that was very precious. Precious than silver and gold. It was cherished, treasured, adored and protected by two people who valued each other. Love was so sweet, so real and so powerful. In the 19th and 20th century, it was very hard to give a woman a handshake. A hug was unheard off. It took months and years before you could come close to a woman. Nowadays, a hug is nothing. Kisses are also becoming so common like handshakes. Sleeping with a girl is just like greeting her. You meet a girl in the morning and by noon, you already getting intimate-‘mollis’ style. S£x is not valued anymore. The rising number of socialites is pathetic. Girls are misbehaving like their lives depend on it. Someone said, gone are the days when girls would cook like their mothers, they now drink like their fathers. 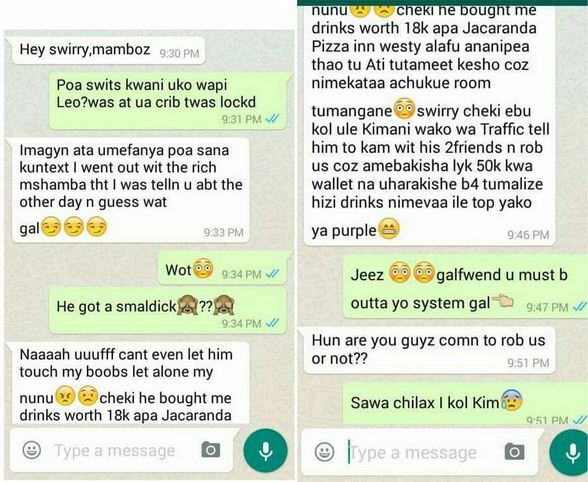 Nowadays we have ‘cartels’- made up of girls- who would do anything and everything to siphon money from sugar daddies. They don’t care about anything, they only think about money. They even go the extra mile of ‘playing’ their sugar daddies. ooooooh my goodlord hhhaa galllllzzzz!!!!! !